A good way to start the week: Transform yourself! I just loved the title of this article that was posted on one of the communities I’ve joined on Facebook. Even if it’s written with the US in mind I felt it would resonate with everyone. With a title like: Sowing Seeds of Transformative Possibility and Magic, how could you NOT want to resonate with it? 🙂 Enjoy this lovely Monday read! To live in the U.S. today is to live in a culture that’s soaked in anxiety to the point of saturation. What with rampant unemployment, debt, economic instability, social dysfunction, and trash culture, not to mention war, global warming, and the threat of terrorism, millions of Americans have become used to slogging through what’s come to feel like an endless swamp of stress and uncertainty. There’s a lot of ambient fear. Sometimes I wake up in the middle of the night and feel it pressing in on me like some cold ghostly presence. I find myself wondering if the world as I know it will remain functional long enough for my children to grow up and live “normal” lives. I feel sucked in toward dark fantasies of terrorist attacks triggering right-wing reaction, the imposition of martial law, and the end of American democracy. Or that the next time Wall Street overheats the meltdown won’t be contained and our complex web of interdependent socio-economic relations will crack wide open into anarchy. Or that the ice caps will melt and the oceans rise and beautiful San Francisco will go under along with our hopes of a wiser, more just and more sustainable society. Most days, these amorphous anxieties stay subterranean. I keep them at bay. I don’t keep up with the news the way I used to. Like most people, I’m absorbed in the busy details of my everyday life. But sometimes at night, in that semi-conscious zone between waking and sleeping, my guard is down and a surge of toxic anxiety breaks through to the surface. Generally I don’t speak of it. It feels almost unspeakable. But my guess is that this experience of an amorphous, yet palpably powerful sense of anxiety and fear is widely shared. (And of course, millions are dealing with much more immediate fears like, can I afford to get sick without becoming homeless?) It feels unspeakable because it’s too scary, too much of a downer. It’s too negative. We don’t want to acknowledge it. To verbalize it feels rude. Maybe unlucky. Maybe even somehow wrong, as naming the anxiety and fear that’s collectively weighing on us could have the nasty unintended consequence of intensifying the burden of whoever hears it voiced. Understandably, we don’t want that to happen. So we maintain the silence. But I think that we do need to speak. Or at least I feel that I do. In part, simply to acknowledge the truth of what I feel. But also – more ambitiously – in the hope that by voicing my thoughts I can play my bit part in helping to nurture whatever seeds of a better future have been and are being planted. Which is, for me, where yoga comes into it. Not that I’m naïve enough to think that yoga will save the world. But I do believe that between the number of people practicing and the transformative possibilities it offers, there’s some real potential leverage there to work with. And given that such leverage is in exceedingly short supply in America today, it’s important, I think, to become fully cognizant of whatever possibilities for positive change we do have. Artist Billie Grace Lynn captured my feeling that we’re living under a pressing weight of social problems that we sense but don’t speak of. And that we need to learn to see these issues in a new way that enables us to work with them flexibly and creatively, while remaining grounded in a felt experience of the sacred mysteries of life. Elephants carry vast meanings on their backs. In particular, white elephants have been considered sacred since ancient times in Asia . . . Possessing a White Elephant conferred great prestige on a family but also a huge burden. Keeping a white elephant was very expensive since it had to be provided with special food and accommodations and could not be used for labor. The gift of a white elephant was considered both a blessing and a curse and it bankrupted many recipients, some deliberately. Another literary elephant is the English idiom, “the elephant in the room” which means an obvious truth that is not spoken or is ignored usually because it is taboo or embarrassing. Ganesh, the elephant god, whose effigy is found at the entrances of homes, businesses, and temples throughout India exemplifies the contradictions and connections between the known and the unknown. Ganesh marks the transitional space between the sacred and profane. He is a protector and destroyer, and the creator and remover of obstacles. 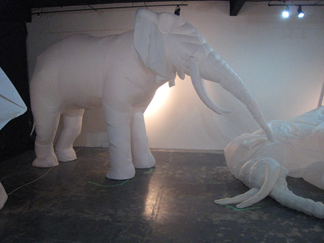 At this point, the White Elephant is an apt metaphor for our contemporary condition; too expensive to sustain, too precious to surrender, and in a state of rapid change. 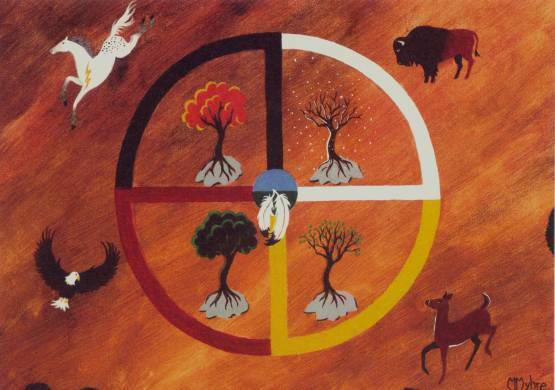 May this ancient symbol of transformation remind us to respect each other, to remember the past, and to protect the future. The elephant is able to move silently in spite of its great mass, perhaps we too will learn to step more carefully. Interpreted through the lens of yoga and contemporary culture, I find this incredibly evocative. To be sure, the analogies aren’t exact. But in some ways, I feel that yoga is like the White Elephant – cherished and even sacred, yet also at times exacting a cost. After all, yoga similarly requires “special food and accommodations” – e.g., a way better than normal diet (ideally locally sourced and organic), open time and space (both usually quite difficult to come by), and, perhaps, expensive classes and retreats (at least for those who can afford them). And that’s just on the concrete, material level. Shifting to the level of life choices and experiences more broadly, yoga also offers a paradoxical combination of dual movements. On the one hand, it’s popular because it enables us to cope with the anxieties and fears that are so pervasive today. Scientific studies confirm that yes, yoga does indeed calm the nervous system. To a significant extent (much more, I believe, than is usually acknowledged), yoga is widely valued because it helps us get by in a stressful society with more of our health and sanity intact. Yet when we get deeper into it, this popular paradigm of yoga-as-coping-mechanism starts to shift into reverse gear. I’ve known quite a few people who decided that they needed to quit their jobs – or make some other, equally wrenching life change – due to the truths that they discovered for themselves in their practice. Paradoxically, they may have started practicing in order to cope with the pressures of work. But after a certain point, they realized that what they really needed wasn’t simply to cope. What they really needed was to change. And significant life change, as any psychologist will tell you, is incredibly stress inducing. 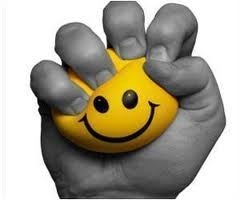 But not all stress is necessarily bad. Just like a really good stretch is one that takes you beyond your comfort zone, the stress of breaking free of unhealthy patterns is a good thing. It may be a relationship that needs to end, an addiction that needs to be broken, or a risk that calls out to be taken. There are countless examples. But it’s that White Elephant thing again: A cherished practice can exact a cost. Positive change isn’t necessarily easy. Billie Grace also speaks of Ganesh. The elephant god symbolizes the “contradictions and connections between the known and the unknown . . . the transitional space between the sacred and profane.” How do we negotiate that space? How do we live those contradictions? Yoga as the White Elephant is a practice to ride as we learn to accept the uncertainly of the future in the immediacy of the present moment. I love the fact that she doesn’t come out hating. One reason that I haven’t wanted to speak of our sea of societal fear and anxiety is that I haven’t known how to do so without being negative. And more negativity just adds to the sense of oppression. Of being weighted down and unable to breath freely. But we do have better alternatives. Perhaps the work to be done is to make them even more widely visible and available. And to speak of them in a way that shatters the silence surrounding the elephants of this age of anxiety in our collective room. During the last 15 years, as yoga’s boomed in popularity in the U.S. and worldwide, it’s been largely understood as a highly individual pursuit. This is, of course, right in line with dominant trends in our culture, which has become more and more inundated by a rising tide of individualism, consumerism, and market-based competition. The public is out; the private is in. The social is ignored, devalued, or trashed. The individual is championed, but under enormous pressure to sink or swim on his or her own. asks tough questions about the yogic response to shocking natural disasters such as the recent earthquake and tsunami in Japan. Certainly, more examples could be given. But the main point is that there is already good work being done to expand the many benefits of yoga beyond its current focus on the individual to include a larger social ethic and vision. And this, I believe, is a desperately needed medicine in this age of rampant anxiety and fear. While it’s impossible to boil down the many possibilities for positive change that yoga offers on a societal level to a simple set that everyone might agree on, I’d like to suggest several that I believe are particularly relevant to the project of planting and nurturing positive seeds of change in today’s Age of Anxiety: 1) A democratic commitment to making yoga available to all. While dedicated yogis might have to restrain themselves from breaking out into brawls over questions ranging from the authority of the Yoga Sutras to the legitimacy of lululemon, one principle that everyone seems to agree on is that yoga should be available to all. This commitment to universal accessibility embodies a deeply democratic ethos that naturally supports even such politically controversial programs as teaching yoga to prisoners. Given what UC Berkeley political philosophy Professor Wendy Brown has aptly identified as the strong “de-democratizing” tendencies in contemporary American culture, this basic democratic commitment is a vitally important ethos to assert and build on. 2) A universal commitment to yoga as a practice of holistic mind-body-spirit health and healing. Again, while practitioners may disagree strongly over issues of “what is yoga,” most endorse an understanding of it as an integrated mind-body-spirit practice that promotes health and healing. Given rampant levels of poor physical and mental health in U.S. society, this is a valuable commitment that – if progressively extended to reach more and more people who need it – could hugely improve quality of life on both the individual and societal levels. Further, the belief that something that we can loosely describe as “spiritual health” is the natural birthright of all people represents an incredibly important ethic in a society that’s increasingly willing to write off social “losers” as collateral damage in a winner-take-all society. 3) Access to a felt sense of the sacred in everyday life. This is where the magic comes in. Yoga practitioners may practice every religion from Wicca to Hinduism to Christianity – or they may be very definitive about practicing none. We can and do have disagreements over all the big questions: whether the soul exists, where spirit and matter are dual or non-dual, whether we are reincarnated or go to heaven or simply cease to exist after death. But I think that one fundamental commonality that most serious practitioners share is a sense that their practice puts them in touch with something that could be loosely described as the sacred. Yoga pours an ineffable magic back into our experience of the world in a culture that’s increasingly stripped of meaning. This sense of connection to something larger than ourselves and more mysterious than we can rationally comprehend is probably the best medicine that we can offer our f-ed up society. So my prayer for today is this: May we acknowledge the elephants in the room that we’ve become habituated to ignore. May we connect to our hearts, strengthen our spirits, engage our minds, and speak our truths with grace. May we work some crazy White Elephant magic to create positive individual and social change. And may we learn to practice the vexing paradox of becoming fully engaged with life while relinquishing our desire to reap the fruits of our actions.